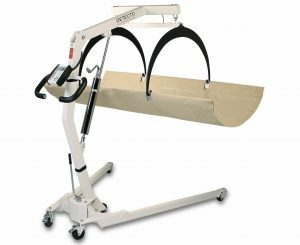 Detecto’s digital in-bed scale feature Sure-Check flame-retardant, anti-bacterial 6 ft / 1.8 m-long stretchers which are placed underneath the patient and hydraulically lifted inches from the bed for weighing. They feature locking casters, adjustable weighing arm, and sturdy steel construction. The model IB800 features base widening stance for added stability. The ZERO key allows staff to easily subtract the weight of bedding. The IBFL500 and IB800 are not for patient transport.